I’d like to share with you why you should avoid coupling at all costs. So what does coupling mean? To explain, I’ll need to refer to some research done in 1998 by Prelec and Loewenstein, two behavioural economists. Here are their exact words on what they learned from their study: "Coupling refers to the degree to which consumption calls to mind thoughts of payment and vice versa. 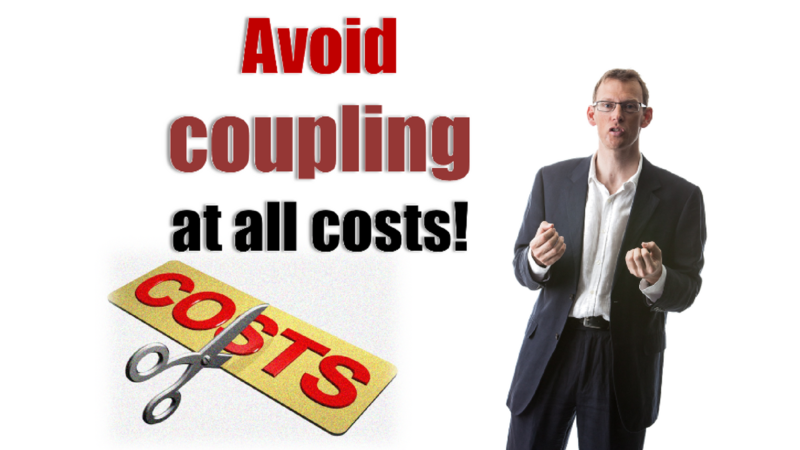 Some financing methods, such as credit cards, tend to weaken coupling. Whereas others, such as cash payments, produce much tighter coupling. Sometimes this is referred to as saliency. What it means is that if we can change the way that we take money from the clients, we can reduce the association of payment pain." 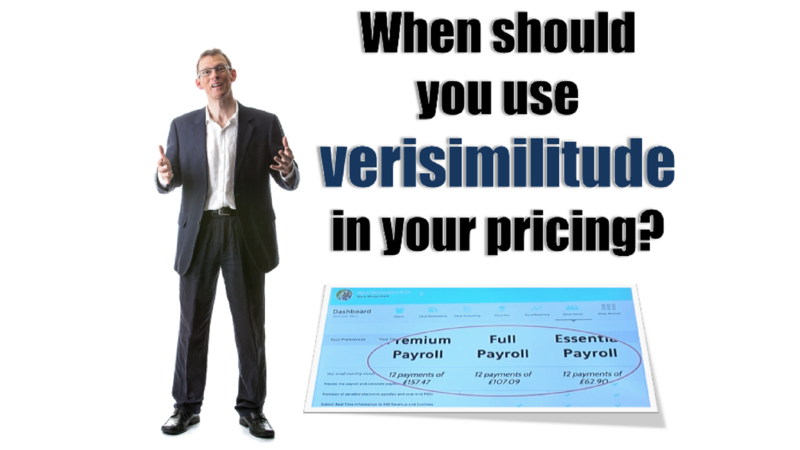 Today I’d like you to think about why you should use verisimilitude – the appearance of truth – in your pricing. To help, I’ll first need to tell you a little about the research behind it, and then I’ll explain how you can apply what you’ve learned to reap the rewards in your own business. In this post I’d like to share something you must never, ever do: please, please, please don't reveal your headline price. 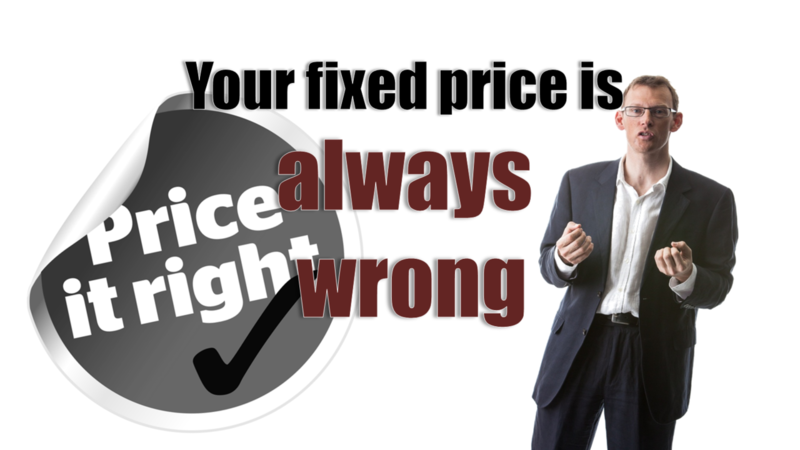 As the Amazon number-one best-selling author of “Effective Pricing for Accountants”, I can assure you it’s an incredibly powerful concept that will get you much, much higher prices with much less price resistance too. 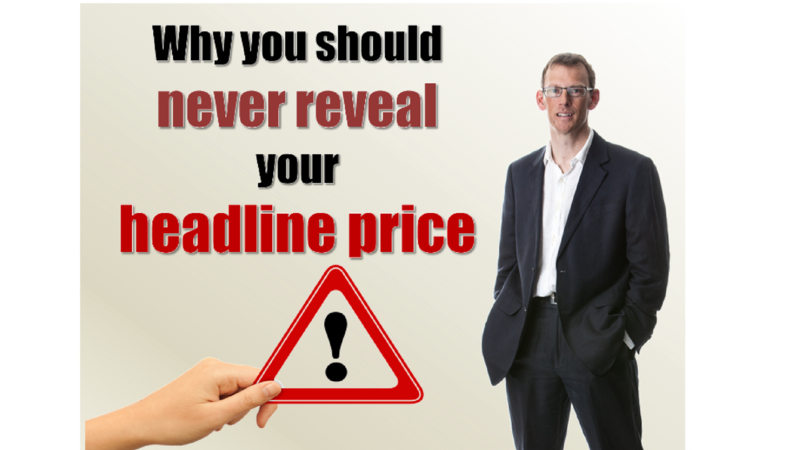 So, what is your headline price? Very simply, your headline price is the total price. I can probably best explain the concept by telling you about an experiment done some years ago by Ryan Deis, one of the world's leading Internet marketers. 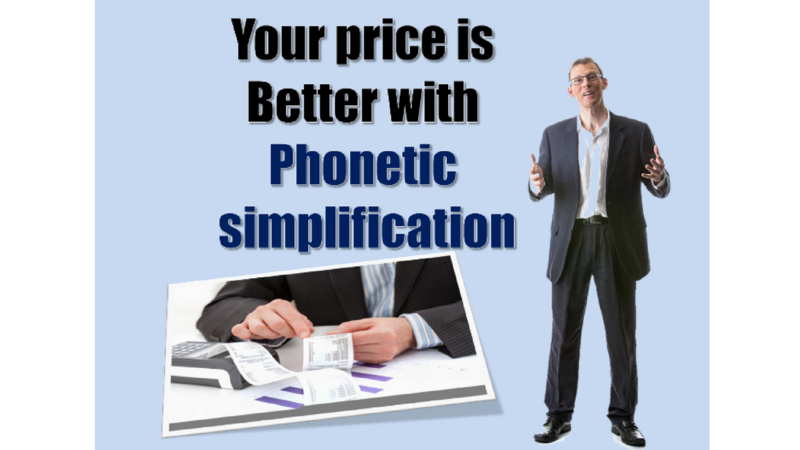 As the Amazon number-one best-selling author of “Effective Pricing for Accountants” I’d like to share how using a concept called phonetic simplification will get you better prices and results. One key insight I want to share with you today was revealed in July 2012, when Coulter, Choi and Monroe published a research paper in the Journal of Consumer Psychology called “Comma N' cents in pricing: The effects of auditory representation in coding on price magnitude perceptions”. This is a principle I refer to as left digit management. And it’s one that I believe can be even more powerful than the power of 9 – a commonly used price psychology method. 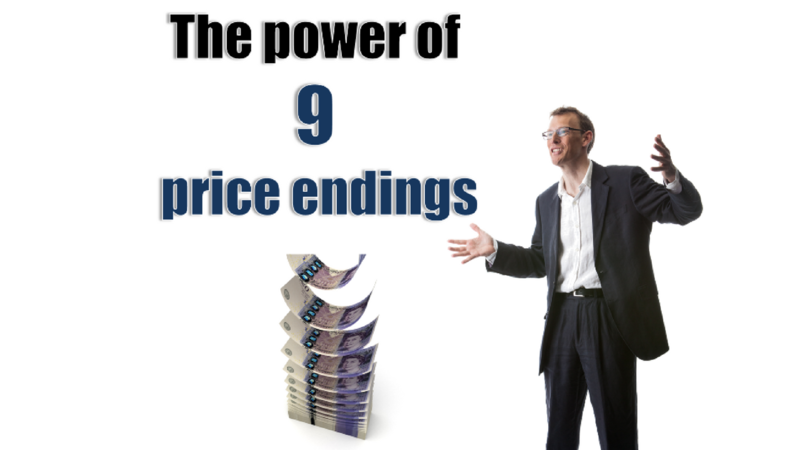 In the power of 9 you should always consider using a price that ends in a 9 because it will encourage more conversions. So instead of using £390 or $390 as a price for example you use £389 or $389. It may only be a pound or dollar difference but the impact of the power of 9 means that more people will buy. Apply a similar principle to the first digit however, and the impact is even more powerful. Say in this instance the price is £400 (or $400). 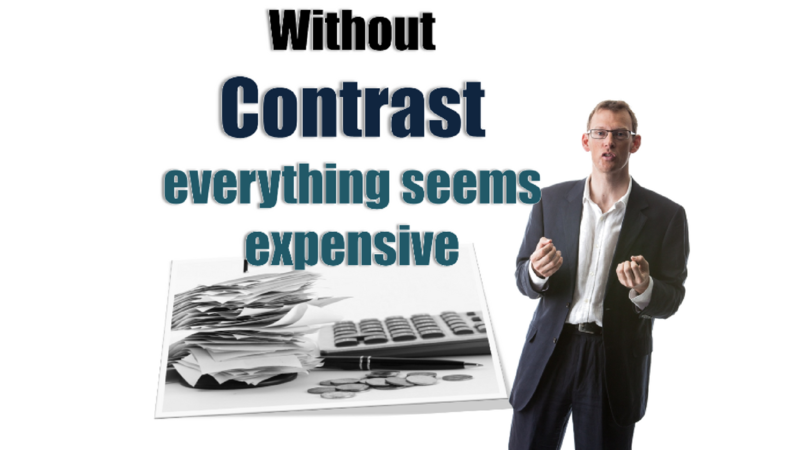 Test it at £399 (or $399) and again – although it’s only a pound or a dollar difference the perception is an even greater difference than the previous example and therefore more clients are likely to convert. When you go shopping do you ever really take notice of the prices? Next time have a quick scan of the receipt. How many of the prices of the things that you bought end in 9? Chances are, a vast majority. 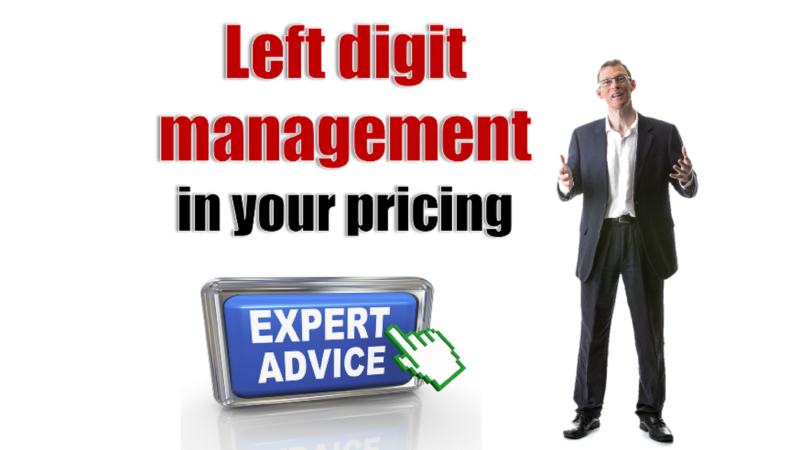 Because 9 is a hugely powerful number when it comes to pricing and price psychology. There have been numerous studies into its power but one of my favourites involves three experiments carried out by Anderson and Simester in their research paper “The Effects of $9 Price Endings on Retail Sales”. One of those experiments saw them testing an item in a catalogue at three different price points to see how the price affected conversions. 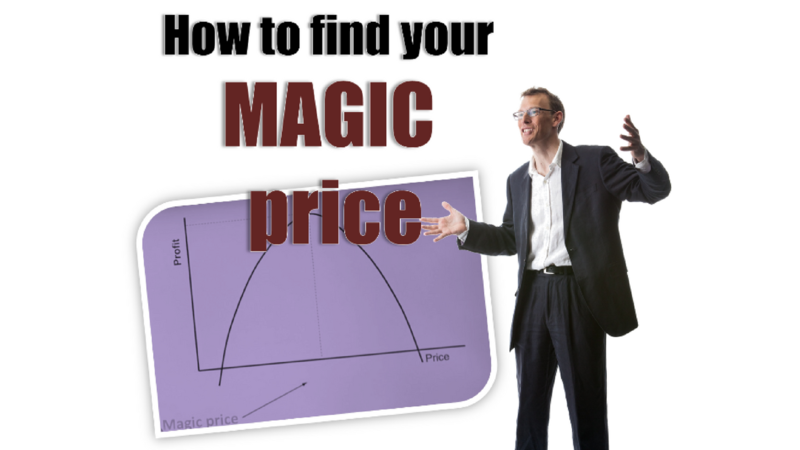 I often get asked what the most powerful technique is when it comes to pricing. 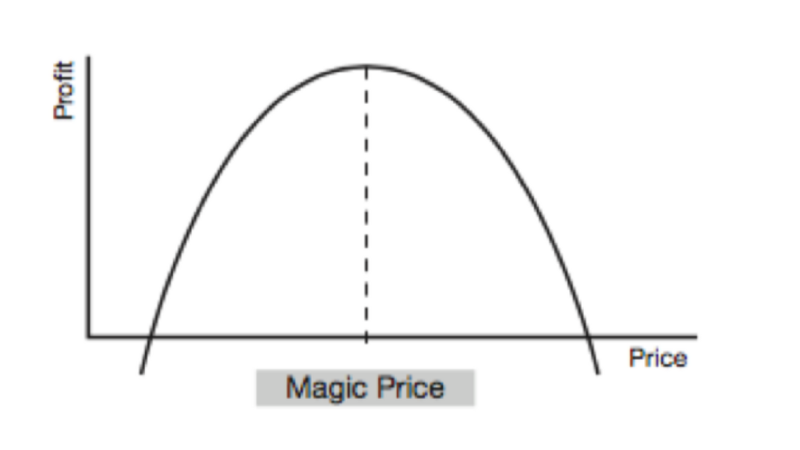 It’s a theory that carries into pricing. Human beings are clueless about price. Honestly. We don’t know the price of anything because we don’t know the absolutes. 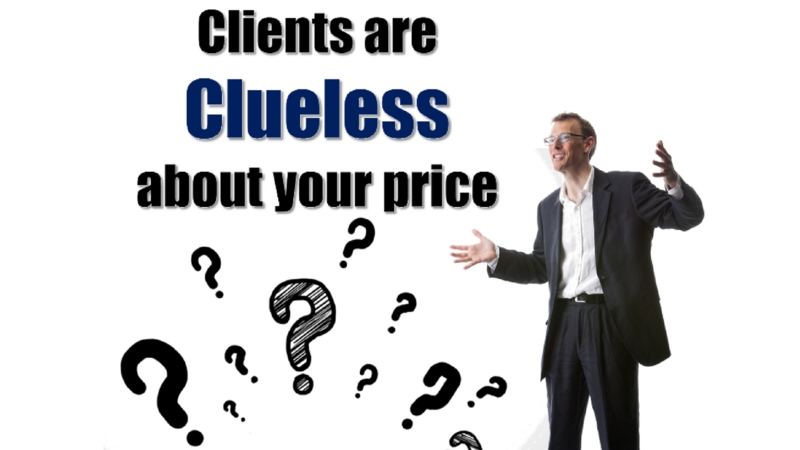 Did you know your clients are absolutely clueless about price? And it’s proven. In fact, it’s proven by psychophysics, a branch of science that has been around for more than a hundred years. Essentially psychophysics means that we are more sensitive to differences than we are to absolutes. Take sensory judgments such as weight, smell, taste and sight for example. If I showed you two shades of red you would be able to see the difference – i.e. tell me which shade was darker – but it’s unlikely you would have no idea on the absolute shade of red. The same with your sense of touch. If I asked you to put your hands in two buckets of water – one hot, one cold – you would struggle to tell me the exact temperature of the water. But you would be able to tell me which one was hotter and which was cooler. Essentially it goes back to the basics of economics. I have always been fascinated by economics – so much so that I took a degree in it. One of the most important things I learnt was the theory of the equilibrium price. Or in other words the fact that price should be set where the supply and demand curve intersects. When you look at a visual representation of that it shows an area above the equilibrium price and below the demand curve that is the consumer surplus. That is also the amount of profit available if we can tap into the fact that different customers will pay different prices. Essentially, it's the price that maximises your profit. When I started to study economics, even at school one of the very first things we learned was the law of supply and demand. 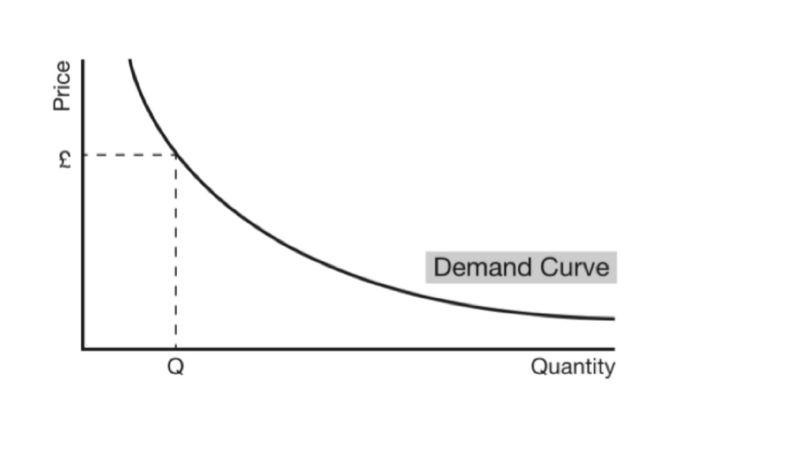 That the point at which the supply curve and the demand curve intersect is the equilibrium – or ideal – price. The trouble is that while that works in theory, in practice it's difficult to measure. If we could, if we knew, for example, exactly how many tax returns people would buy at £200 or £300, we could easily plot a demand curve. And then, if we worked out the profit for each price point, we’d end up with a bell-shaped chart. One that basically shows that a zero price – giving your stuff away for free, while still having to cover all of your costs – means you’d be making a loss.